Tamluk is one of the oldest known habitats in the history of North India. 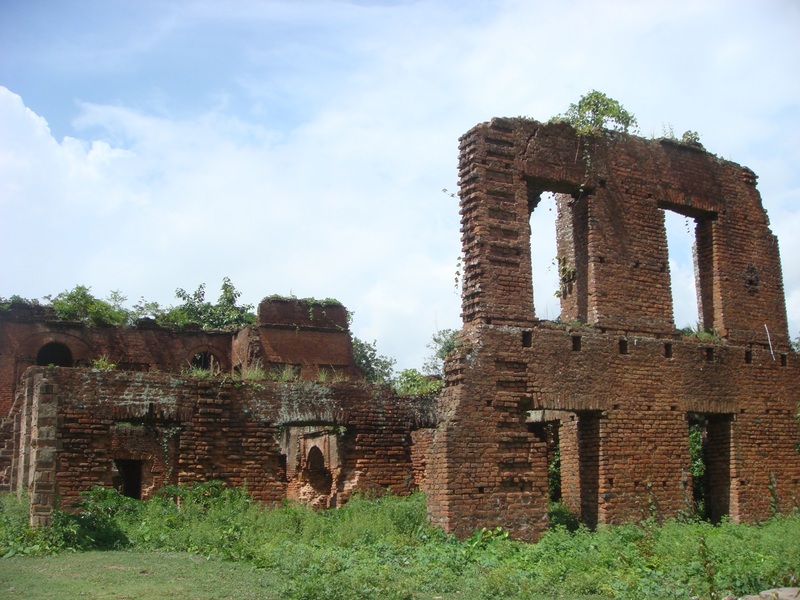 Situated on the right bank of what is now known as the Rupnarayan River, Tamluk, or Tamralipta, is mentioned in many historical records as a port of great economic significance in the Eastern sea coast of India. 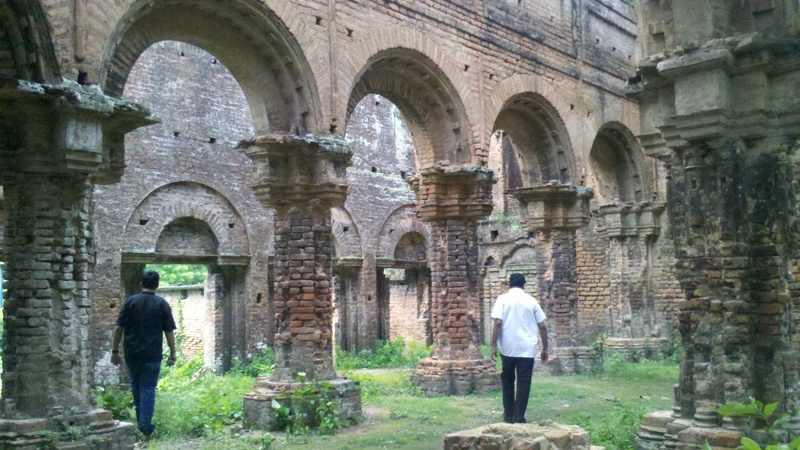 Today, the river has shifted away from the town and the port has moved downstream, beyond the confluence of the Rupnarayan and the Hooghly, to Haldia, but the town retains its quaint charms. 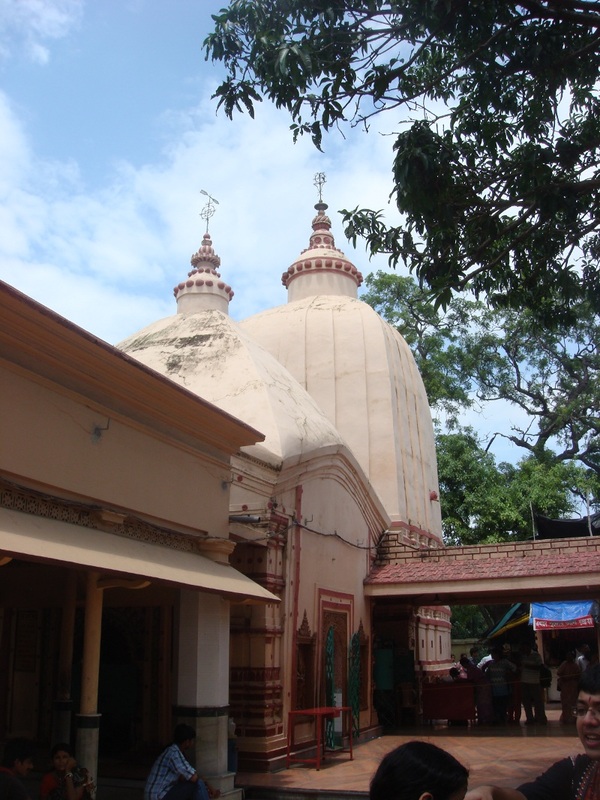 The most important landmark of Tamluk today is the Bargabhima Temple that is considered to be one of the 51 Shakti Peethas of the Divine Mother. Here are some pictures of this famous temple. 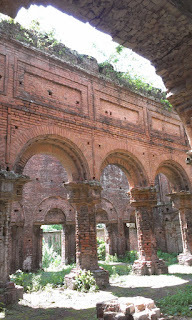 The current temple is not very old. 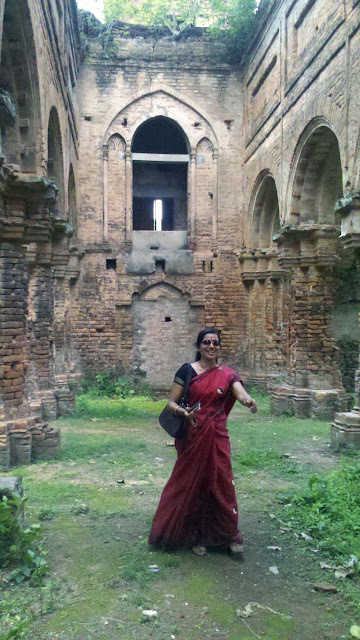 It has evidently been rebuilt after the iconoclastic Islamic occupation of Bengal in the middle ages but myths and legends about the antiquity of this temple -- one of the most famous temples of South Bengal -- place it in the hearts and minds of those who revere and adore Kali and the Divine Mother. Not far from the Bargabhima temple is the old RajBari -- the residence of the local ruler -- in a state of utter dilapidation. 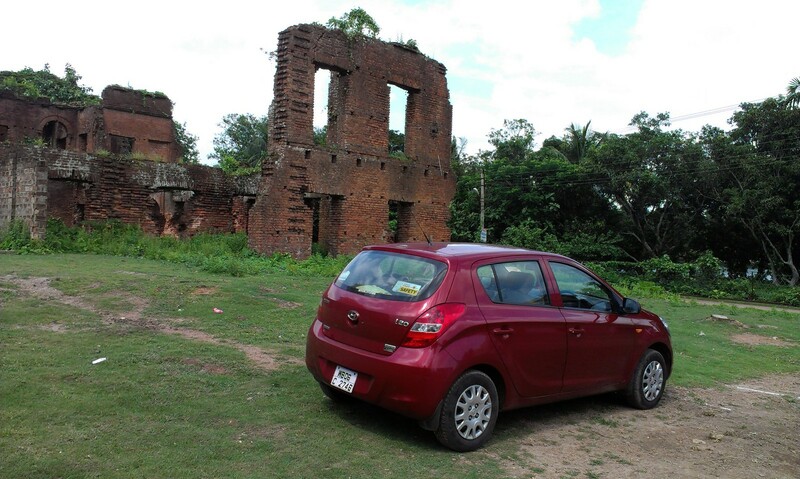 Tamluk is easily accessible from National Highway 6 that connects Calcutta to Mumbai. 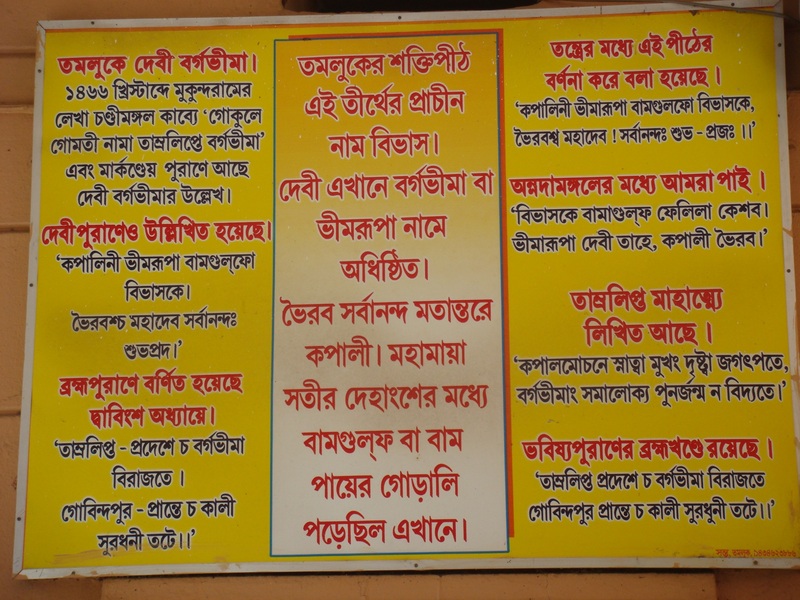 One needs to turn south at Kolaghat and take the highway that goes to Haldia. 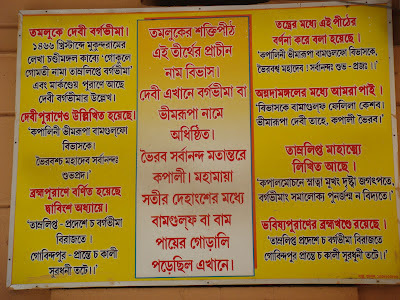 A couple of kilometers from the turn, one will come across a tiny, "state highway" that branches off to the left and leads to Tamluk. 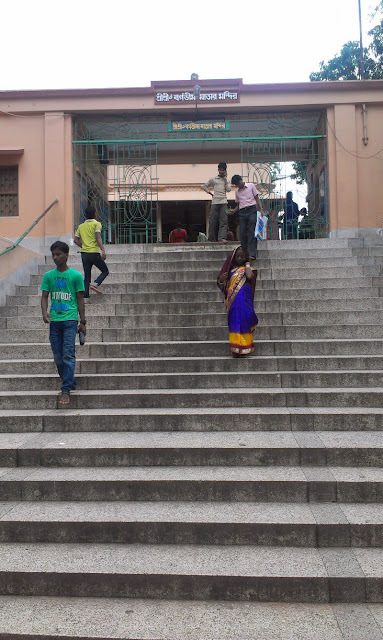 The Bhimbarga temple is located in a very congested area BUT there is a neat, nice parking lot that has been created by some local people where you can safely park your car by paying some money. 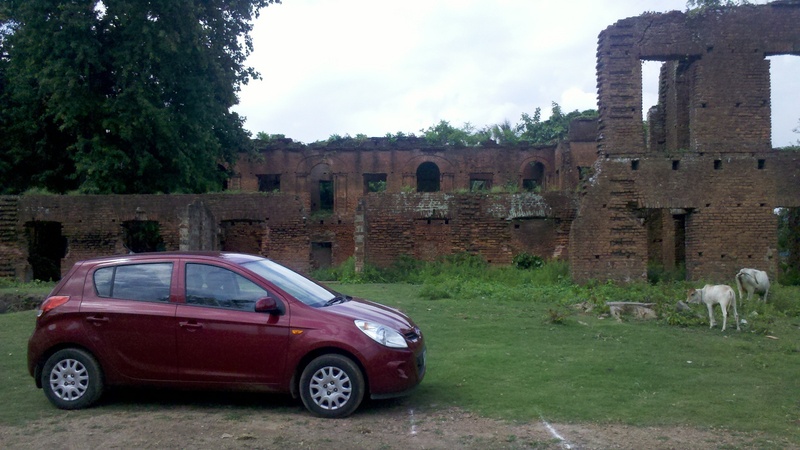 The Rajbari is more accessible as you can see in the picture of our car parked in front of the ruins. Tamluk is also the place where Basudeb Ghosh built "Harir Mandir" in 1534 in memory of Chaitanya Mahaprabhu which I hope you have seen. 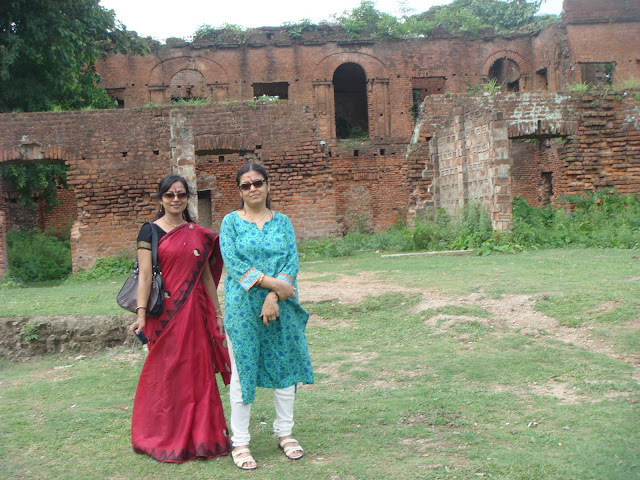 On BargaBhima temple, the pond that you see at the back of the temple is where Rupnarayan river used to flow once. 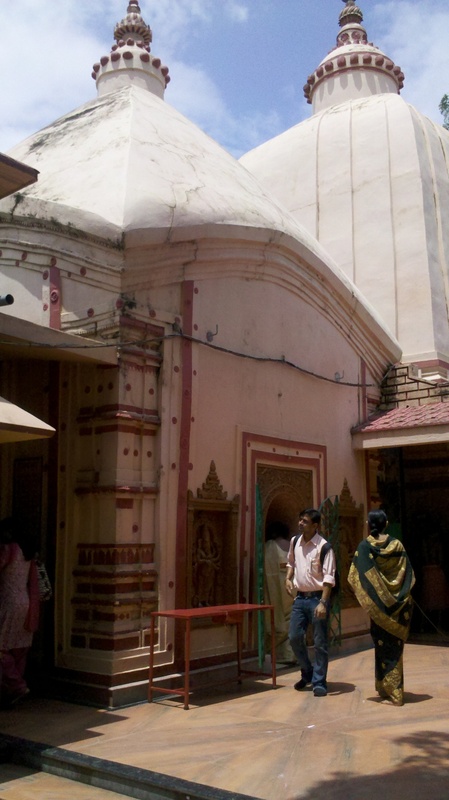 There was a gold pot on top of the temple which was stolen some time back and shipped out via the river. 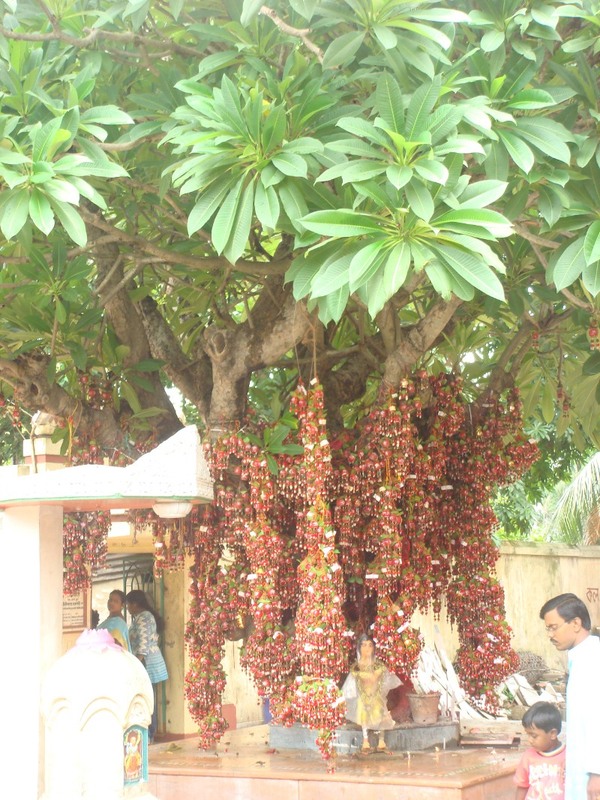 Legend has it that the temple was dedicated to Goddess Tara . Sort of Buddhist -Hindu mixed ancestry.